The Xbox One is probably the most versatile console you can buy right now. 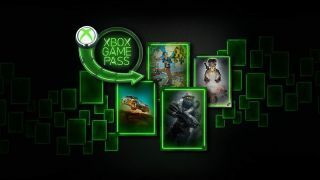 Not only is it home to top games, Xbox Live Gold, and 4K Blu-rays, it also lets you access Xbox Game Pass, a subscription service where you can download and play 100s of classic and new games for a reasonable monthly subscription. If you're yet to dive into Game Pass, now is the time, as Amazon is doing 'buy 3 months, get 3 months free' as part of its Spring Sale. You now get six months of Xbox Game Pass for £24, which is a brilliant price considering it usually retails for £47. If you buy this offer twice, you get 12 months of Game pass for just £48, which is brilliant value. Xbox Game Pass has 100+ games to download and play, including Halo 5, Gears of War 4, Sea of Thieves, Fallout 4, Doom and a bunch of classic Xbox and Xbox 360 titles (among many others). If you're looking to get a wide range of Xbox titles for less than the price of a single new game, this is a great entry point. And don't worry if you think your internet connection is too slow to stream games - you can download anything and play it offline, in your own time. It's a great system. And if you are planning to take out an Xbox Game Pass sub, and you want more space to download all those games, you may need an Xbox One external hard drive, although it'll take you a while to fill up the regular HDD on your console.